In the early days of the settlement at the Cape people of note were buried inside church buildings. Provision for a place of worship was at once made inside the Castle. Consequently the Rev. Joan (Johannes) van Arckel was laid to rest at that particular spot in the unfinished Castle in Jan. 1666. Only a fortnight earlier he himself had officiated at the laying of one of the four foundation stones of the new defence structure. A few months later the wife of Commander Zacharias Wagenaer was buried in the same ground; likewise Commander Pieter Hackius, who died on 30th November 1671. By 1678 the little wooden church inside the Castle proved too small, and when a new site was selected provision was made for a cemetery immediately outside the church, but the custom of burials inside the building continued. The whole piece of ground where the Groote Kerk and its adjacent office building now stand was enclosed by a strong wall. People were buried on this site before the completion of the church building. The first to be buried there was the Rev. Petrus Hulsenaar, who died on 15th December 1677 and was laid to rest where the church was to be built. The bodies of those who were buried in the wooden church inside the Castle were re-interred here in a common grave. After that a fee equivalent to about R12 was charged for a grave inside the church, as against R1.00 for a burial-place in the churchyard. The church building was completed in 1703, and the first governor buried inside its walls was Louis van Assenburgh, who died on Sunday, 27th December 1711. The following year ex-Governor Simon van der Stel died on 24th June and was buried inside the church; a memorial was put up behind the pulpit. He was followed by several notable persons, all buried inside the building: Governor Maurits Pasques de Chavonnes, whose death occurred on 8th September 1724; Governor Pieter Gijsbert Noodt (died 23rd April 1729); the wife of Governor Jan de la Fontaine (June 1730), Governor Adriaan van Kervel (19th September 1737) and Governor elect Pieter, Baron van Reede, who died at sea on the way out and was buried in the church on 16th April 1773. The last of the Governors to be buried in the Groote Kerk was Ryk Tulbagh. Although his death occurred on 11th August 1771, the burial was postponed 17th August to enable country folk to attend the funeral of the `Father’ of the people. Some memorial tablets and escutcheons can still be seen at the Groote Kerk, but most disappeared during rebuilding operations, including that of Simon van der Stel. The escutcheon- of Baron Pieter van Reede is still to be seen on the outside wall of the enlarged building near the original steeple. Another conspicuous tablet, but of a much later date, is that of Chief Justice Sir John Truter and Lady Truter, who died in 1845 and 1849 respectively and were buried in the churchyard a few years after the reconstruction. It is believed that the first Jan Hendrik Hofmeyr in South Africa, who was superintendent of De Schuur and died in 1805, lies buried in the little cemetery still preserved at Groote Schuur, but it is impossible to identify his grave. 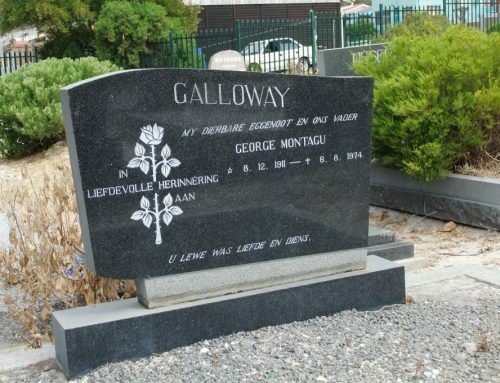 Notable Huguenot personalities are buried in Huguenot cemeteries at French Hoek, La Motte and Dal Josafat. A historic Jewish cemetery has been preserved in Woodstock, while many notable figures lie buried in the cemeteries at Mowbray and Woltemade. The Cape Malay community at all times took a pride in the graves of their leaders who died at the Cape. Apart from the kramat at Faure where Sheik Yusuf lies buried, there are kramats on the slopes of Signal Hill, being tombs of Khordi Abdusalem, Tuan Said (Syed), Tuan Guru and Tuan Nurman. New structures were erected here in 1969. Comdt. Tjaart van der Walt, ‘the Lion-Heart’, was buried in 1802 where he fell in battle against the Xhosa tribes in the hills at Cambria, a few km from the Gamtoos valley. Dr. John Philip of the London Missionary Society, who died in 1851, is buried near Hankey railway station in the Gamtoos valley, and with him his son William Enowy, who drowned on the day when his father’s water scheme was officially opened. Frederik Cornelis Bezuidenhout, whose death in 1815 was the prelude to the Slachter’s Nek Rebellion, lies buried on his farm on the upper reaches of the Baviaans River, near the Bedford-Tarka road. A significant number of British settlers and sons of the 1810 Settlers were killed in battle in the Frontier Wars. At least one had the place he was buried named after him – Bailie’s Grave near Keiskammahoek in the Ciskei; Charles Bailie, son of Lt. John Bailie, the founder of East London, was killed here in the Sixth Frontier War. Settler cemeteries in various parts of the Eastern Province contain the graves of many leading pioneers. At Keiskammahoek is Gaika’s grave, proclaimed a national monument. He was the founder of the Gaika tribe and died in 1829. The grave of his son and successor, Sandile, killed in the Ninth Frontier War in 1878 and buried at Stutterheim, has been provided with a bronze inscription by the Historical Monuments Commission. In Durban, the cemetery of the Old Fort has been proclaimed a national monument along with the fort itself; also the grave of Lt. King on the Bluff (James Saunders King was one of the original settlers at Port Natal). The site was also proclaimed where a few Voortrekkers fell fighting against the British at Congella station. In Zululand is Piet Retief’s grave where he was buried, next to the other victims of the massacre, in 1839 in the present Babanango district by the Commando that avenged his death. Near by, on the battlefield of Italeni, European graves have been found recently by Dr. H. C. de Wet and farmers of the neighbourhood. Two graves, some distance away from the others, may possibly be those of Comdt. Piet Uys and his son Dirkie. The graves have as yet not been opened nor identified with any degree of certainty. In the immediate vicinity of Dingaan’s Kraal, where Retief lies buried, the Historical Monuments Commission’s bronze plaques protect several Zulu graves: Senzangakona, founder of the Zulu nation and father of Shaka, Dingaan, Mpande and Mageba – all in the district of Babanango. When Dinuzulu died near Middelburg (Tvl.) in 1913 his last wish was granted – to be buried with his fathers. His grave, like that of Senzangakona, has an inscription in the Zulu language only. The memorial to Shaka near Stanger has been proclaimed a national monument; also Mpande’s kraal and grave in the Mahlabatini district. Cetewayo’s kraal, also in Mahlabatini, has the Commission’s plaque. Comdt. Hans de Lange’s grave at Besters station near Ladysmith has been preserved. In the Orange Free State the grave of Moroka, chief of the Seleka branch of the Barolong tribe near Thaba Nchu, has been provided with a bronze plaque. Of the Republican presidents three lie buried in Free State soil: J. P. Hoffman at Smithfield, J. H. Brand in the Old Cemetery at Bloemfontein, and M. T. Steyn at the foot of the National Women’s Monument. President J. N. Boshof’s grave is in the Old Cemetery at Pietermaritzburg, that of M. W. Pretorius in Potchefstroom, and F. W. Reitz at Woltemade in Cape Town. Gen. C. R. de Wet and the Rev. J. D. Kestell rest at the foot of the National Women’s Monument, where the ashes of Emily Hobhouse are also preserved. Sarel Cilliers is buried at Doornkloof near Lindley. Much of the early history of Kimberley can be read from tombstones in three old cemeteries: the Pioneers’ cemetery; Du Toitspan cemetery, where the victims of the concentration camp (1901- 02) were laid to rest; and the Gladstone cemetery which contains the graves of Lt.-Col. N. Scott-Turner of the Black Watch, of George Labram, maker of `Long Cecil’, and of those who fell during the siege of Kimberley at Fourteen Streams, Dronfield and Carter’s Ridge. Interest in Pretoria centres largely round the Heroes’ Acre in the Old Cemetery in Church Street West where Paul Kruger was buried, and Andries Pretorius as well as President T. F. Burgers were reinterred in 1891 and 1895 respectively. 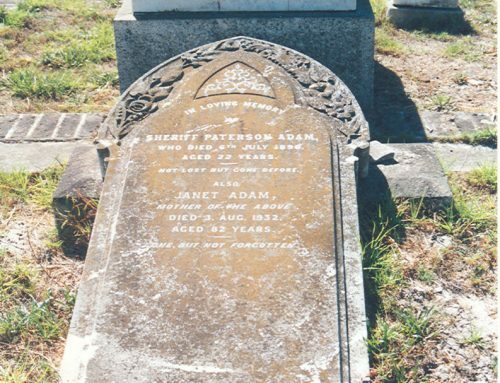 The children of A. H. Potgieter refused the reinterment of their father and so he still rests where he died, at Schoemansdal in the Zoutpansberg. Of the Prime Ministers of the Union of South Africa, two lie in the Heroes’ Acre, namely J. G. Strijdom and Dr. H. F. Verwoerd, while Gen. Louis Botha was buried in the same cemetery, but before a corner of it had come to be designated Heroes’ Acre. Gen. J. B. M. Hertzog is buried on his farm Waterval in the Witbank district. Gen. J. C. Smuts was cremated and his ashes scattered on a koppie on his farm near Irene. Dr. Malan was laid to rest in the cemetery outside Stellenbosch, as well as the President elect, Dr. T. E. Donges. Dr. E. G. Jansen, Governor-General, was buried in the Heroes’ Acre. Of the Prime Ministers of the Cape Colony, Dr. L. S. Jameson died in-London, W: P. Schreiner in Wales, and T. C. Scanlan in Salisbury, while Cecil John Rhodes rests at World’s View in the Matopos. The first Prime Minister, Sir John Molteno, lies in Claremont cemetery, Sir Thomas Upington at Maitland, Sir Gordon Sprigg at Mowbray; and John X. Merriman, though he died at Stellenbosch, was laid to rest in Maitland cemetery. J. H. Hofmeyr (`Onze Jan’), by whose grace the Prime Ministers ruled, is buried at Somerset West. Of the Prime Ministers of Natal, Sir Henry Binns, who died at Pietermaritzburg, was buried in the military cemetery, Durban. Natal’s first Prime Minister, Sir John Robinson, lies in the Church of England cemetery in Durban; Sir Frederick Moor at Estcourt, Sir George Sutton at Howick, and C. J. Smythe at Nottingham Road. 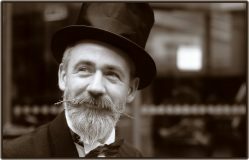 Sir Albert Hime died abroad. The only Prime Minister of the Orange River Colony (1907-10), Abraham Fischer, died in Cape Town and was buried at Maitland. Of the Boer generals among the older generation, Piet Joubert was buried on his farm Rustfontein in Wakkerstroom, in accordance with his own request; Schalk Burger on his farm Goedgedacht in Lydenburg, Piet Cronje on his farm Mahemsvlei in Klerksdorp, and J. H. de la Rey in the Western Transvaal town Lichtenburg. Of the famous South African literary figures, Olive Schreiner, initially buried at Maitland, was reinterred on the summit of Buffelskop, near Cradock; Jan Lion Cachet and Totius (J. D. du Toit) at Potchefstroom, and Jan F. E. Celliers in the Old Cemetery, Pretoria; while C. Louis Leipoldt’s ashes were interred on the Pakhuisberg in Clanwilliam. The co-founder of the Kruger National Park, Piet Grobler, was buried in the New Cemetery, Pretoria, and the best-known finance minister of the Union, N. C. Havenga, at his home town Fauresmith. Public-spirited communities as well as private families all over South Africa have at numerous places gone to great trouble to preserve the graves of pioneers and public figures. At Ohrigstad the tombstones of Voortrekker graves have been brought together in a concrete but in the form of an ox-wagon, the oldest stone being that of J. J. Burger, born at Stellenbosch, over 1 600 km away, in the 18th century.